Shipping: I used Taobaospree as my shopping service. Since Taobaospree is a relatively popular SS, I'm going to exclude talking about their services here. To sum up, my shopping service had the dress shipped and received by them within 3 days, and then I received my EMS package about 2 weeks later. 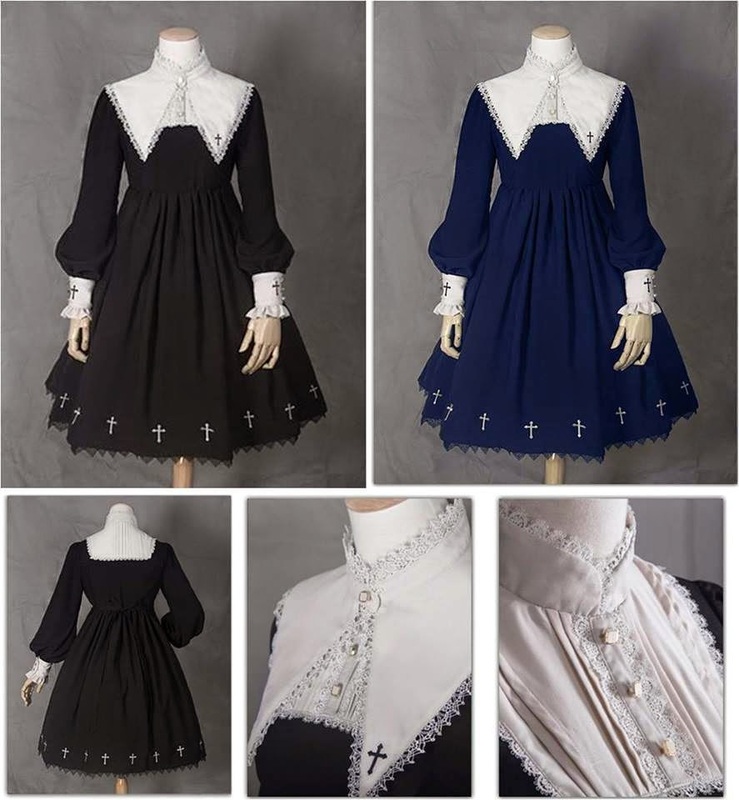 Accuracy of description: I ordered the JSK of the print in navy. I would have likely chosen the creme version of the print, but I found out about the piece far after its initial release, so I missed the boat on being able to order my preferred colorway. The dress that I did received match the modeled photo well. Detachable bows which can be pinned to the bodice or potentially used in the hair like in the stock photo. Thick nice lace with anchor detailing. Quality: The item seems to be of very solid construction. I could find no noticeable flaws, but if I find any, I will update this review in the future. Fit of the item: The sizing of the piece I order was the XL variant with 87 to 106 cm bust and 69 to 86 cm waist. With my current measurements being 104 cm bust and 85 cm in the waist, I was a tad worried that I wouldn't fit the item properly, but I found the item to be well fitted but comfortable while worn. I definitely would. The dress came out to a total of around $120 with EMS shipping and shopping service fees to the USA which I found to be incredibly reasonable for the quality of the item that I received. Though the photos I've seen of their newer release, pictured below, seem to be taking a more gothic tone, I hope that they put out more cute prints in the future. 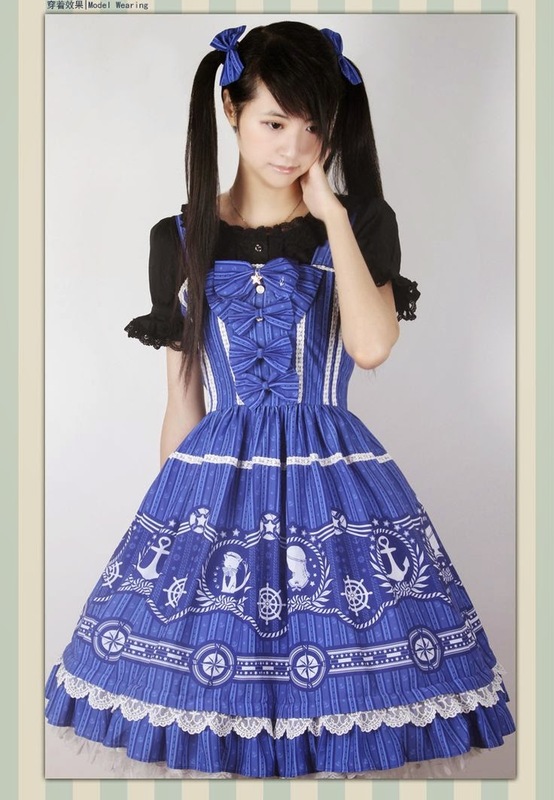 I also hope to be able to update the review in the future with some lovely coordinates featuring my nautical jsk.